Steve Winter, his wife Claire and their excellent team at Jaz have looked after my car for 20 years. Steve’s knowledge of early cars in particular is second to none and I’ve been very happy to trust his guidance on the ongoing maintenance and gradual improvement of my car. Jaz Porsche are independent Porsche specialists involved in maintaining, restoring, developing and race preparing cars of all ages. Steve has great knowledge of early cars and races them very successfully on on a regular basis. Steve devised the specification for rebuilding the 2.2 S engine fitted in my car which has brought power output up to to 2.7RS level. Bruce Cooper and his team are artists in metalwork and paint. Steve at Jaz initially pointed me in Bruce’s direction to replace a split torsion tube but I went back there again to have the bodywork of my car properly sorted out. This work included stripping the underside of the car taking it back to bare metal, removing rust and repairing the floor pans and sills. Sportwagen also sorted out lots of other probems with the bonnet, engine lid, doors, sunroof and various other bodges and blemishes from an earlier “restoration” that were invisible to me but which stood out like sore thumbs to Bruce’s trained eye. The final respray was fantastic and underside rust protection should significantly extend the life of the car. 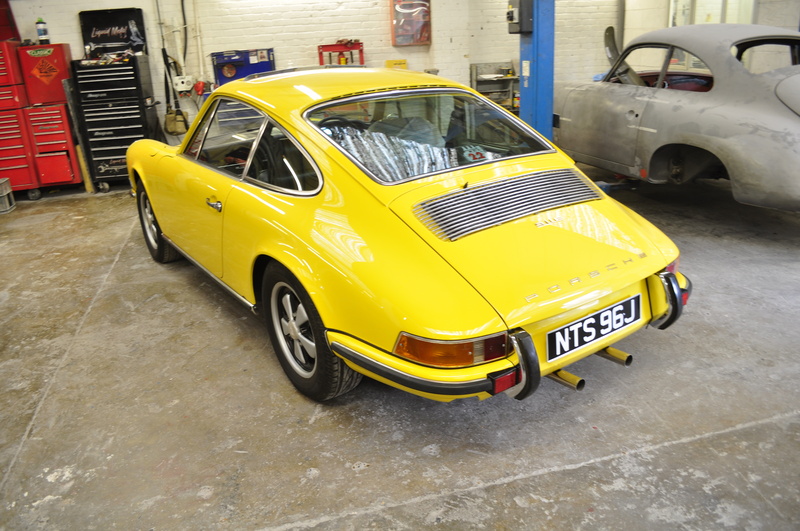 Sportwagen specialise in 356 and early 911 bodywork restoraton but I’ve also had the privilege of seeing work they’ve carried out on other rare and precious cars. 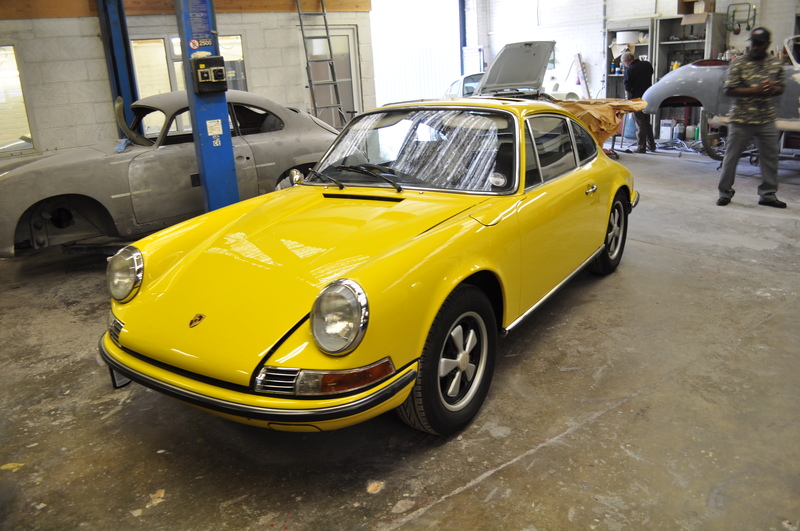 … here’s a photo gallery of my 911, taken immediately after I had picked up my newly-restored 911, illustrating Sportwagen’s craftsmanship. Steve Winter from Jaz strongly recommended the use of Neil Bainbridge’s dyno facility at BS Motorsport to run-in and set-up my newly rebuilt engine. 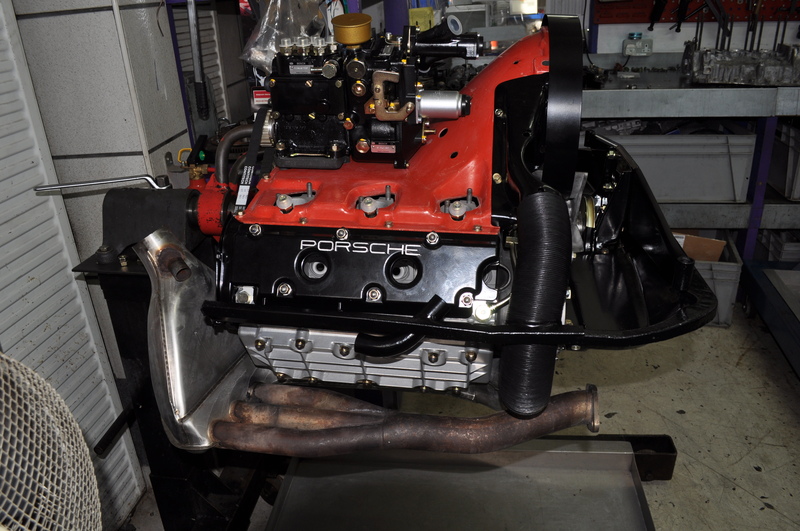 Having spent 3 hours with Neil and Steve at the dyno to observe final adjustments to optimise engine performance I’d strongly recommend this approach to sorting up Porsche engines especially those that have been just rebuilt. The speed with which running in and engine set-up can be completed and the precision analysis, adjustment and testing that can be carried out are far more cost effective than the conventional running-in and adjustment approach. A further advantage is that Neil provides a comprehensive manual of the dyno measurements and engine performance metrics which is great evidence for anyone in the unfortunate position of having to sell their precious Porsche. I can’t remember whether it was Steve or Bruce that put me onto this company to locate the right period radio to fill the hole in my 911 dashboard but I’m glad they did. 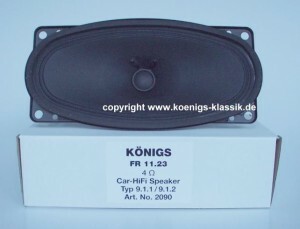 The Koenigs Klassiks website is pretty comprehensive in that you can search on specific makes and models of radio or you can search via car model to find the right one for your car.If all else fails – the Koenigs Klassik team will happily confirm which particular radio is right for the specific model/year of your car. 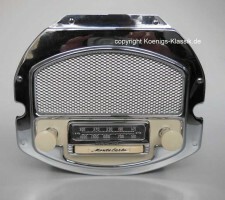 They even have their own Car Radio Museum! 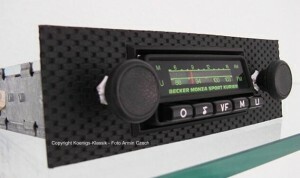 The radios come fully refurbished and they can even fit an iPod/iPhone jack if you prefer to listen to your own tunes.I bought a Blaupunkt Frankfurt radio for my ’71 911E along with a new under-dash speaker.